The musical theme of Guadalajara city is a poem that enhances the village soul of this beautiful city with its smells of roses … and wet earth. It’s a beautiful song, melancholy, passionate to the heart of all. 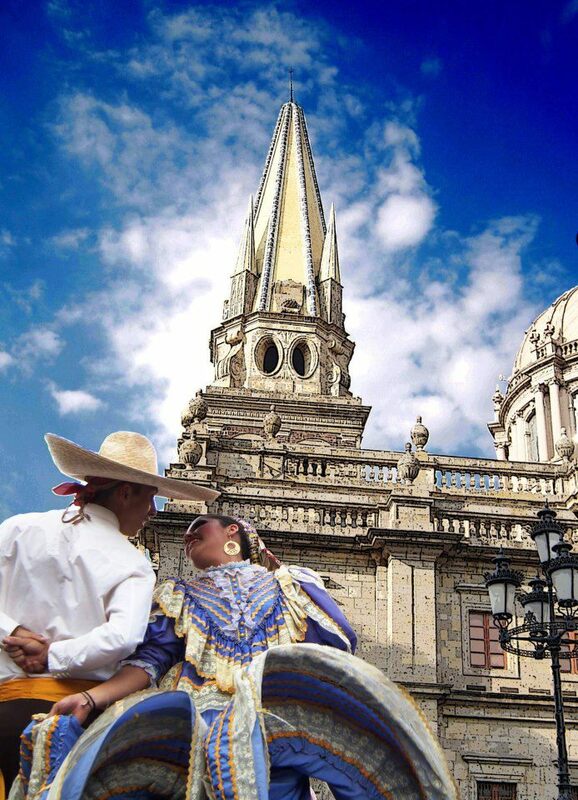 It is a hymn to Guadalajara, the most beautiful provincial cities of Mexico … also called the City of Roses, “slogan” that comes from this song. The lyrics speak of the city with Mexican soul. It mentions its forests, neighborhoods and municipalities from Zapopan, to the rain, and the tolling of the bells, the village of Tlaquepaque with its smells, food, roosters and mariachi. That is, until you reach Lake Chapala and its beautiful sunsets and romantic moonlit nights. pure smell of wet earth. would not let us go to Zapopan. Composed and written in 1954 by Pepe Guizar, this song has been a success not only in Mexico but throughout the world to the degree that has been interpreted by great singers of the world as Elvis Presley’s own and even politicians such as Edward Kennedy. Pepe Guizar is known as the ¨Painter of Mexico¨ as he describes places through his musical compositions, a true lover of the Mexican province with deep national roots and sang to Mexico, its people, the mariachi and the people of Jalisco. This composition is a true hymn to Guadalajara which has become a second national anthem representing the most Mexican of cities in Mexico.